Arrival, welcome and transfer to the town, lunch at the hostel, entrance formalities and departure to Amais at Oued Tni and Tulounenado, bivouac. Amais-Indjaren : Breakfast and departure towards the canyon of Oued In Djaren, visit of the paints and cave paintings along the crossing. Dinner and night in bivouac. 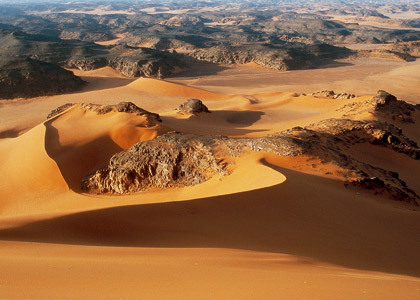 In-Djaren / Tin-Merzouka : After lunch, continuation of the expedition towards the platter of Tadrart. 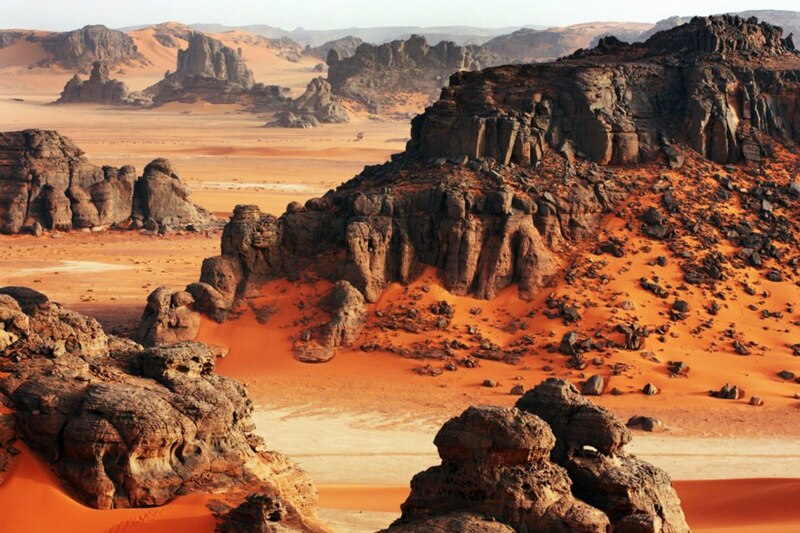 Discovery of many dunes of sand, lunch, pursuit of the visits in bivouac. 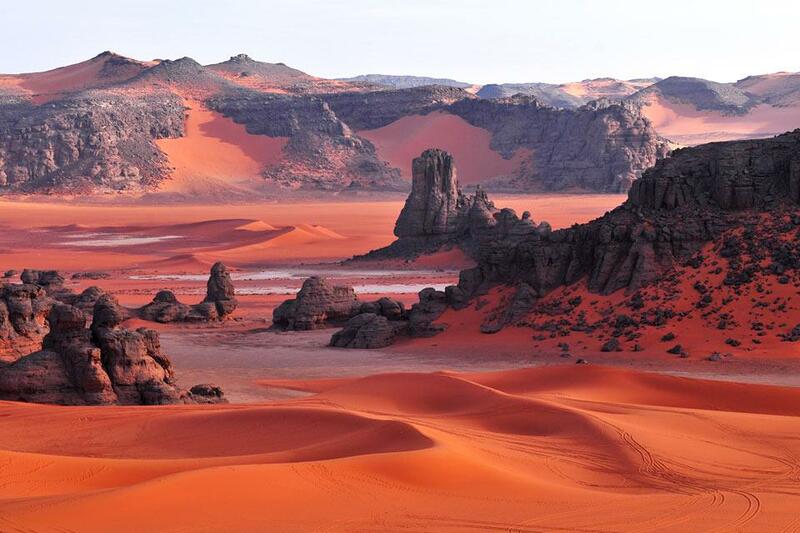 Tini-Merzouga / Moulnaga : Destination characterizd by labyrinths. Local visit, picnic; continuation of the discovery of Moulnaga, bivouac. 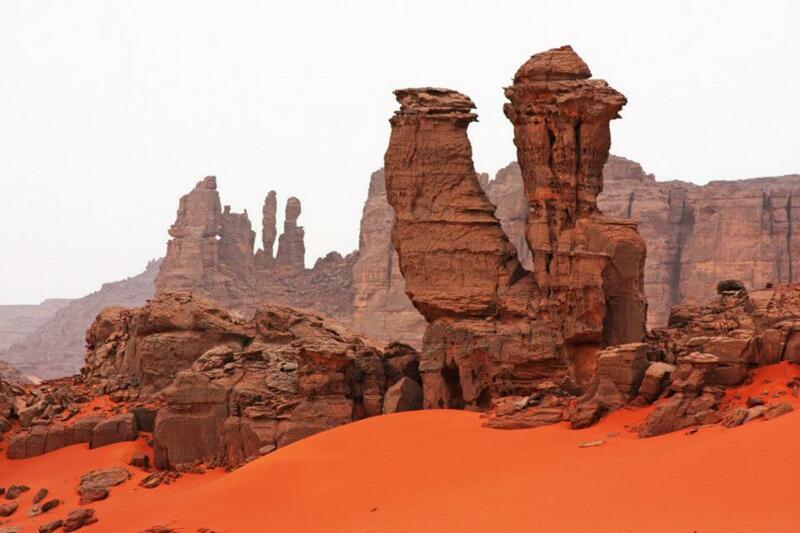 Moulnaga / Alidemma : Breakfast and departure to Alidemma at the southwest by leaving the region of Tadrart, crossing of the Tassili and Imahratene. Picnic after visit of the cave paintings. Bivouac. Alidmma/ Mount Gautier : After the breakfast, recovery of the expedition towards the mount Gautier, picnic and continuation for bivouac. Mount Gautier / Tahort / Djanet : Light step with a nice view of the Admer Erg, picnic in the Erg. Presence of darts prehistoric vestige. Return to Djanet at the end of the day through the famous cave painting of the crying cows. Breakfast and transfer to the airport for boarding.